Background: Improving poorly soluble drugs into druggability was a major problem faced by pharmaceutists. Nanosuspension can improve the druggability of insoluble drugs by improving the solubility, chemical stability and reducing the use of additives, which provided a new approach for the development and application of the insoluble drugs formulation. Paclitaxel (PTX) is a well-known BCS class IV drug with poor solubility and permeability. Also, many studies have proved that paclitaxel is a substrate of the membrane-bound drug efflux pump P-glycoprotein (P-gp), therefore it often shows limited efficacy against the resistant tumors and oral absorption or uptake. Objective: To manufacture an enhanced-penetration PTX nanosuspension (PTX-Nanos), and evaluate the physicochemical property, pharmacokinetics and tissue distribution in vivo and cytotoxic effect in vitro. Methods: PTX-Nanos were prepared by microprecipitation-high pressure homogenization, with a good biocompatibility amphiphilic block copolymer poly(L-phenylalanine)-b-poly(L-aspartic acid) (PPA-PAA) as stabilizer. Results: The PTX-Nanos had a sustained-dissolution manner and could effectively reduce plasma peak concentration and extend plasma circulating time as compared to PTX injection, markedly passively targeting the MPS-related organs, such as liver and spleen. This unique property might enhance treatment of cancer in these tissues and reduce the side effects in other normal tissues. Moreover, the hybrid stabilizers could enhance penetration of PTX in PTX-Nanos to multidrug resistance cells. Conclusion: To sum up, our results showed that the optimal formula could improve the solubility of PTX and the stability of the product. The PTX-Nanos developed in this research would be a promising delivery platform in cancer treatment. Keywords: Paclitaxel, nanosuspension, pharmacokinetic, cytotoxicity, enhanced- penetration, drug efflux pump P-glycoprotein (P-gp). Keywords:Paclitaxel, nanosuspension, pharmacokinetic, cytotoxicity, enhanced- penetration, drug efflux pump P-glycoprotein (P-gp). Abstract:Background: Improving poorly soluble drugs into druggability was a major problem faced by pharmaceutists. Nanosuspension can improve the druggability of insoluble drugs by improving the solubility, chemical stability and reducing the use of additives, which provided a new approach for the development and application of the insoluble drugs formulation. Paclitaxel (PTX) is a well-known BCS class IV drug with poor solubility and permeability. 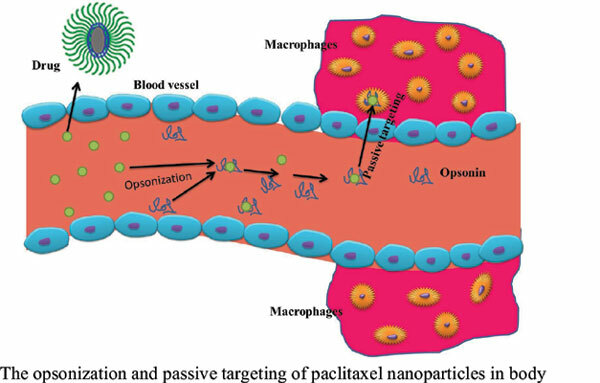 Also, many studies have proved that paclitaxel is a substrate of the membrane-bound drug efflux pump P-glycoprotein (P-gp), therefore it often shows limited efficacy against the resistant tumors and oral absorption or uptake.